Hey guys its time for a new season! I will say that last one went way quick! So this time We will have Up to 14 Games Per Player depending on how far your player will make it. So...The Goal for you is to pick Scores you want me to get! What ever scores you pick from 0-300 will count but I will say normally I bowl between 127-190 yes other people are playing this too to make the game go faster with more data too! But yes I do have my good days and Bad days too!.. Prize? Well its 3.2mil If you win the Super Bowl! Also other prize amounts offered as well if 200+ Score games and Targets get hit will be awarded too! Last edited by Liberty Bo Panda (132500643) on Sun Mar 24, 2019 2:49 am, edited 3 times in total. Re: Contest Season #32-Bowling Super Bowl! Last edited by Liberty Bo Panda (132500643) on Tue Jan 29, 2019 1:23 am, edited 12 times in total. Alright Thanks for checking out how the game works as most of you know your Goal is to pick the scores that you want me to get right? (and my peps too) then what ever we get the "Distance" From the Actual from the Predicted is your running "Score"...We do take this bowling games serious alot of this does happen on League nights Every Other Sunday and Opposite Mondays is Leagues Some weeks I do do double as well sometimes go on weekends for fun! I am going to focus on the top Face off...So lets say the Ravens had a Target of 170 but The actual was 177...that gives them the -7...and so on for the rest. Being the closest to 0 gives them 3 Points in the Standings...Because they beat the rest of the teams in that face off...Then 2nd gets 2 and 3rd 1 point and 4th gets 0...Those Transfer over to the Leader Board on the right...with the Distances over time the Distances will add up this helps determine if theres a Tie would is sitting in 1st Place! 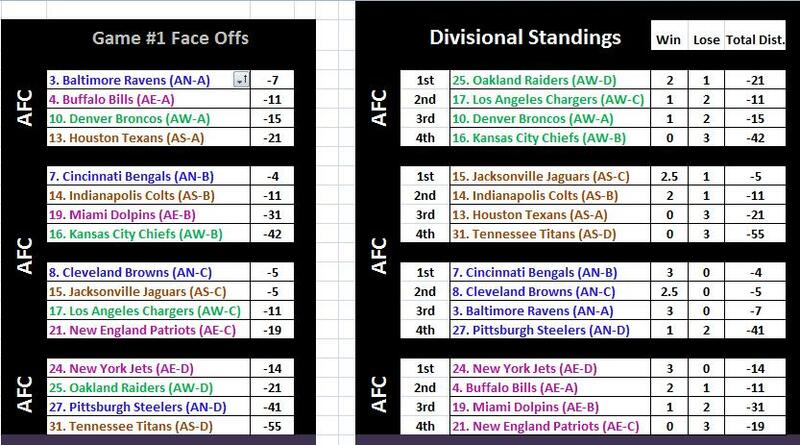 Round #2,#3, #4 The Teams Rotate making sure they hit every team in there conference it will be a A, B,C,D Type every Face off. 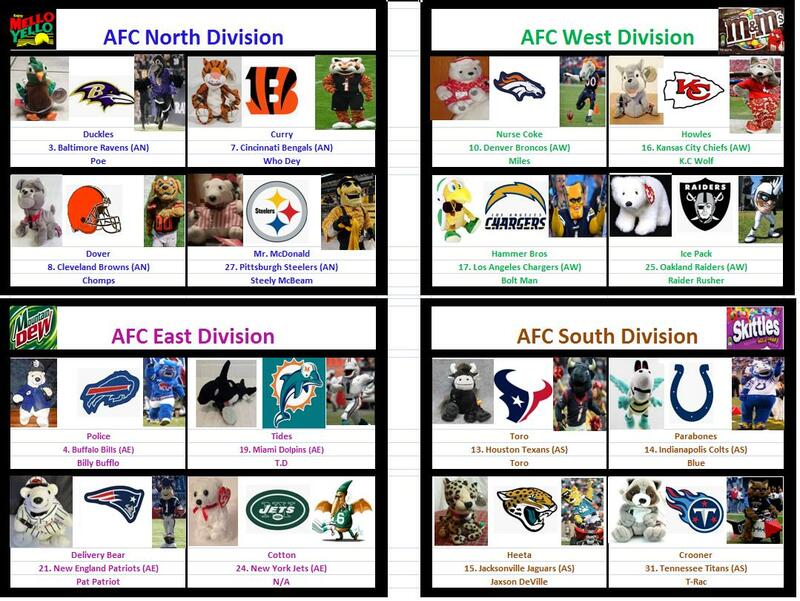 Conference Round... 2 Teams from Each Conference Round will face off 2 games each those distances added together per player determines who moves on to the super bowl! 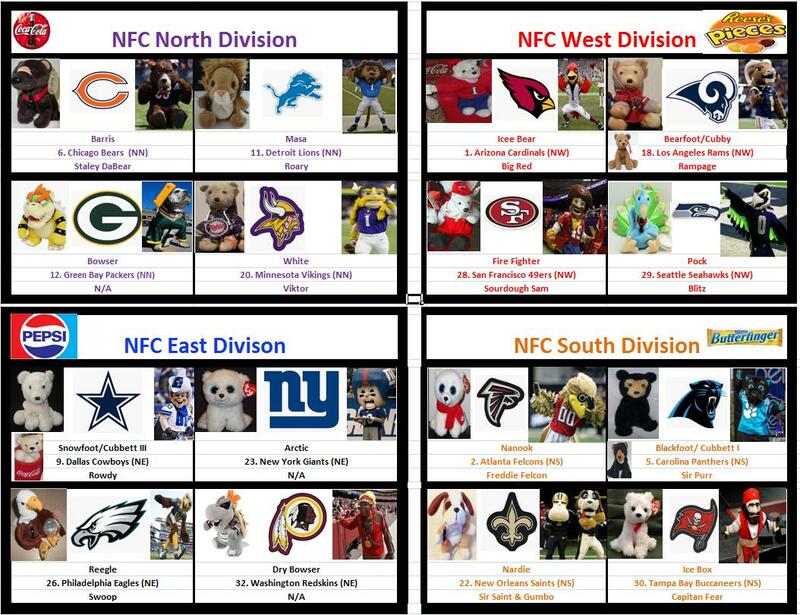 SUPER BOWL....Final Team from Each Conference NFC vs AFC will face off 4 games each the person with the closest to 0 will win the Super Bowl!!! If you watch Football you kinda get how this works, but the Season is Speed up to 5 games for 15 points...And then Play offs hit! IF this is way to much Info which many of you will think just fallow along and see how your players are doing! As you know me I explain the best I can with my complex Bowling Contest! ***One Addition...If we do hit a score over 200+ Your Distance will be cut in half to represent your player*** Because I respect 200+ Scores they are not always easy to get! Yea!!! Thanks Bo!! Scores to follow!!! Last edited by T Louie (111654346) on Wed Jan 16, 2019 11:14 pm, edited 1 time in total. hope I did that right. Happy bowling, and thanks for all you do with this! Thanks for the contest once again! Last edited by PRINCESSARIELSSS (171362383) on Sun Jan 27, 2019 3:25 pm, edited 3 times in total. Last edited by ShadesOfD (116354401) on Fri Jan 18, 2019 1:34 pm, edited 1 time in total. Updated as of here...7 Seats Filled! ...heads up in one hour I'm gonna drop a post for another spot! Joyce you won the opportunity for an extra spot pock 2 more and score away! Liberty Bo Panda (132500643) wrote: Joyce you won the opportunity for an extra spot pock 2 more and score away! Alright Peps its updated as of here. We have Officially Started now we are 15 Games in but I can not show scores until Spots are filled up and Scores are picked for everyone. Yes If no scores are for players we do bowl as a "Blind" we bowl as is until you pick scores. Two 200 scores were done tonight so Id like to show who it hit but gotta wait!